Program is designed for reading fiction book. – read formats: fb2, fbz, txt, epub, html, doc, docx, odt, rtf, mobi, prc (PalmDoc), tcr. Supported ZIP and GZ archives. – It is possible to specify an encoding of reading file (include 932, 936, 949, 950 code page). – Local library. The selection of authors, series, title, publication year, genre. – Supported interface languages: russian, english, german, greek, ukrainian, belarusian, polish, chineze, bulgarian, turkish. – Fb2 and TXT file editing. If a file is in an archive, edited file is unpacked to the same directory as the original one. – It is possible to select code page for file names in zip. – Correct hyphenation for 20 languages. – Four profiles with independent font, color, brightness, gamma correction and indent of text. 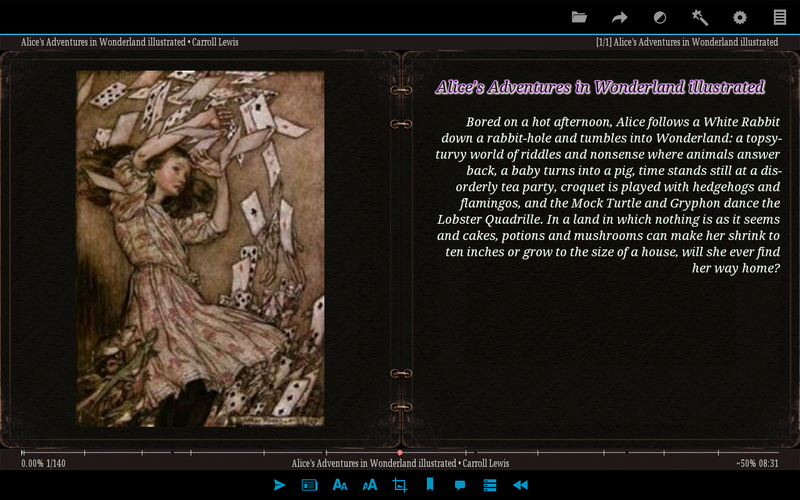 – One- and two-page mode with automatic switch to the two-page mode in landscape. – Configuring of display styles (headings, citations, abstracts, etc.). Each style includes font, color, text style, text size, shadow, indent, spacing and so on. – Autoscroll “wave” and “slide”. – Initial letter to one or two lines of text at the beginning of each chapter or paragraph. – Independent setting of all items in the status bar and footer for windowed and full-screen mode. – Support for display of footnotes on the page for fb2- and (most) epub-files. – The horizontal and vertical alignment of text on the screen. – “Sections from a new page” option. – Navigation in the text: by percents, by pages, to the beginning/end of the text, 10 pages forward/backward, to the next/previous chapter. – Table of contents in fb2-, doc- and epub-files. – 9 tap-zones for short and long taps, gestures, gestures with two fingers, resize text by “pinch”, to assign the actions for buttons. – Support E-Ink screens. Adaptation of appearance for the E-Ink screens, support of “fast” refresh for many EINK devices. – Fixation of screen rotation. – Support 9.png skins with automatic selection of one- or two-page mode. – Upon selection of embedded texture, background color is taken into account, i.e. mix of textures and colors. – Clock behind the text. – Quotes, bookmarks, text labeling, sending the selected text to third-party programs. 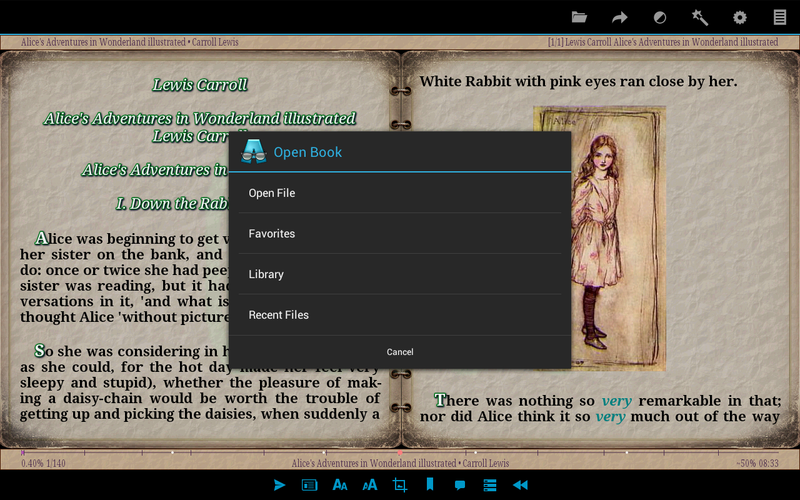 – Creating shortcuts for books on the home screen. – Save / restore program settings / styles / current profile (+fonts, +skins) / text styles. – Ability to hold screen backlight (up to 20 minutes of inactivity). – Fine-tuning of various indentations, adjusting software shading of the screen (if minimal hardware brightness level is too high for comfortable use). – The program collects anonymous statistics of open books for creating the top -100 authors and books. This top -100 is available in program. – Synchronize reading position via network or file system. 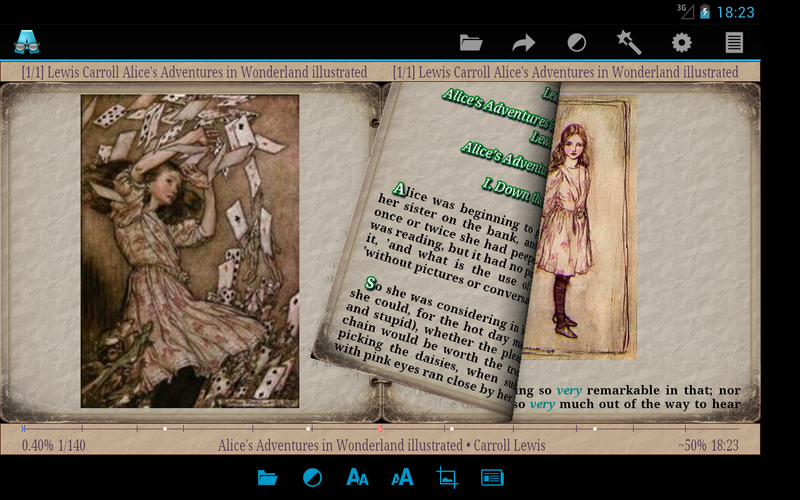 It took me quite a bit of searching to find what I now think is the best epub reader by far for my Boyue T62. Try it!